I decided to run a test to see how many new followers I could get from scheduling 10 pins for 10 days. This is where online tools come in useful. Here I will be looking at a Pinterest scheduler called BoardBooster and sharing the results of using the free trial for 10 days. 5 1) Did it save me time? 6 2) Did I get new followers? 7 3) Was my account in any way affected negatively? First off let’s cover the details of the test and what I wanted to achieve. I’d had the Pinterest account for a couple of years. It’d hardly been used though. For that reason the number of followers, boards, and pins was low. To be exact I had only 185 followers and here is a screenshot of the analytics. Could using the scheduler save me time? Would it result in new followers? 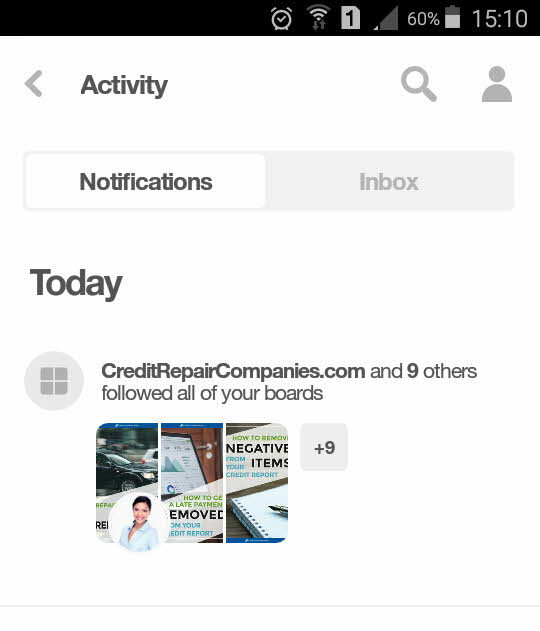 Would the account be negatively affected such as Pinterest thinking it is spammy. You may think a huge omission is, “does it send me website visitors?” In this test I’m only going to be pinning other people’s images therefore they can’t send me referral traffic. The aim of this is to build my profile and see if it saves time. Long-term the aim would be to get traffic but you need to build up the Pinterest account in the first place! When you join BoardBooster you can schedule 100 pins for free to trial the service. Having done some research of other successful bloggers experience I decided I would schedule 10 pins per day for 10 days to reach the 100 limit and that would conclude the test. I would predominantly repin other popular pins. All would be hand-picked by me. I setup my BoardBooster account on a Thursday evening at around 7pm. I completed setting up my account and scheduled pins to go out before 8.15pm that night. All 10 pins went out on time. Unfortunately I then got this message saying my Pinterest account had been put into a “safe mode” due to strange activity! Here is the message. This worried me. It also meant I had to change my password which meant also sorting out the Pinterest app on my phone and reconnecting my account to BoardBooster. I was now frustrated and worried! I decided to carry on with the test in the same way and see whether I had more issues. On Friday I added in enough images to my private boards to get through the weekend with the plan to schedule more on Monday. All were handpicked by me, I didn’t use the “Pin Sourcing” feature. All of the images were repins of uploads that were already popular. Over the weekend all the pins had uploaded successfully so on Monday I scheduled more to cover the next few days. Once again all were repins of images that are already popular. When I logged into Pinterest using my smartphone on Monday night I was absolutely delighted to see a notification saying I had new followers, 10 to be exact. I was literally seeing instant results! Admittedly a few of the followers were a bit spammy but the others were great. Here’s a screenshot. For the last few days I decided to change things up to see if it would make a difference. All my pins so far had been from searching Pinterest and doing repins. This time I decided to pin only original images. I set them all up on Friday to use up the remaining quota. All-in-all it went very smoothly after the initial hiccup with my Pinterest account going into safe mode. The learning curve wasn’t too hard at all. The last pin was automatically sent out on the 26th. Here is a screenshot of the final report showing 100 pins. The analytics took a couple of days to update so in the meantime I kept my Pinterest profile active each day with manual submissions. With all that done I suppose we should see how the final results came out. 1) Did it save me time? The short answer is YES! I didn’t time myself using BoardBooster and then also time myself manually pinning so I can’t give any figures. But I’m absolutely clear that it saved me time compared to manually pinning. Logging in and preparing pins to be posted over the next few days is great. It makes posting easier and certainly more efficient. The other alternative of logging in a few times every single day to manually pin is not appealing and would get in the way of other tasks. Everything I pinned was picked by me, I didn’t use the “Pin Sourcing” feature. This means in itself the process of finding things to pin and writing descriptions wasn’t any quicker. It’s the fact you only have to login once and upload all the pins in one batch that saves the time and energy. But that was my choice, I’m yet to try the “Pin Sourcing” feature which would undoubtably save more time. 2) Did I get new followers? Yes, the result for this was very good. In the 10 days I increased my follower number from 185 to 252, a big increase in such a short amount of time! Here is a chart showing the recent daily changes to follower numbers. You will notice that over 2 recent days I’ve actually had a couple of unfollows. This is inevitable. When I’ve looked at some profiles it’s clear people only follow you with the intention of you following back. If you don’t follow back they will unfollow you. Often their profiles are poor quality or they don’t pin things I’m interested in. Therefore I don’t follow them. Far from it being a bad thing that a few are unfollowing, it really doesn’t matter. I’m not prepared to follow accounts whose images I don’t want to see in my feed. A second major thing to consider is this; for the last couple of days I only pinned original images. That coincided with considerably less new followers. Coincidence? I think it’s unlikely to be a coincidence. The correlation is clear but obviously I have nowhere near enough data to conclude causation. I think a daily a mix of repins and original pins would make sense though. 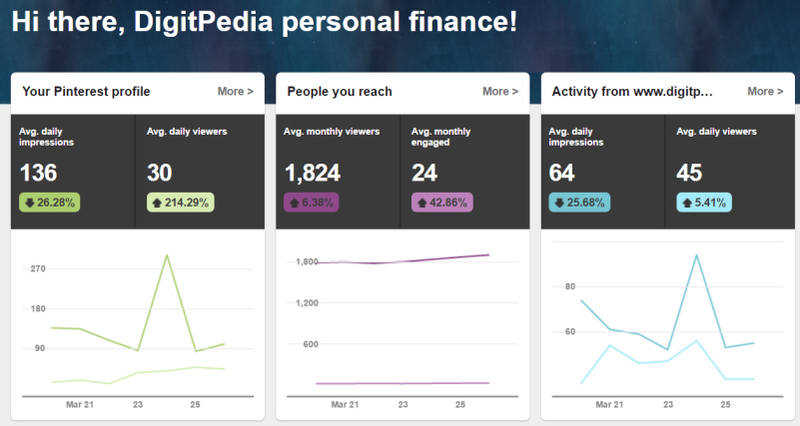 As for the overall numbers here is a screenshot of the analytics to see whether other areas saw benefits. If you can’t see it clearly please click on the image. You can see from the left side that my Pinterest profile impressions increased massively. The average daily impressions was only 12 per day when I started the test. At the end it was 136 per day! The “people you reach” has stayed almost exactly the same. As expected the column for “activity from www.moneycortex.com” has also stayed almost the same. I didn’t pin a single image of my own so no new referral traffic was expected. 3) Was my account in any way affected negatively? As I said earlier in the post, my account was put into a “safe mode”. That was the only problem I experienced. Thankfully it didn’t happen again and I’ve had no problems since. I’ve used the search function when logged into another Pinterest account to see my pins ranking. Overall I’ve seen no reason to believe this has had a negative affect on how Pinterest views my profile, in fact it’s had a very positive one! That brings me to the end of my wrap-up. Overall I’m very happy. I plan to continue building up my Pinterest profile over time. You are welcome to see how things look right now! Here I will list some of the lessons I hope you can take away from my test of using the BoardBooster pinterest scheduler. It will clearly make your life easier. Consistent pinning is what will give your Pinterest profile the best chance of growing. Even with as little as 100 pins you can gain lots of new followers. I did around 80 repins and 20 original pins. You may get very different results if you only do one or the other. When your profile is new, only pinning your own original stuff may make it very difficult to get new followers, pinning stuff that is already popular is a better way to go. I pinned from lots of different sources, if you only pin your own stuff you may get penalized. A few of the boards I was pinning to were brand new. 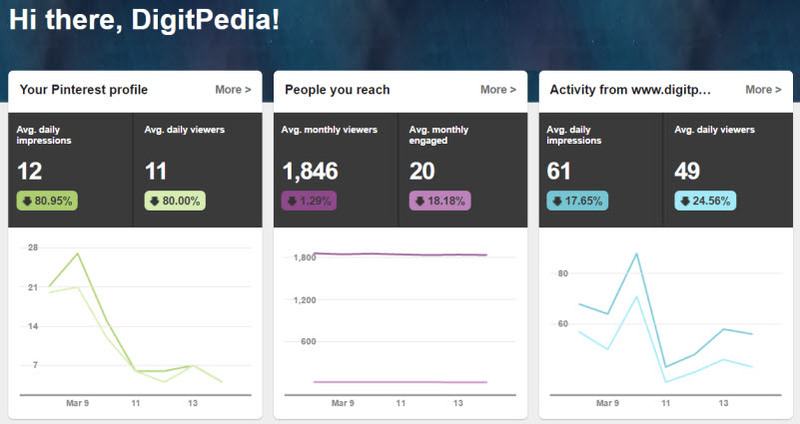 It may be harder for images on new boards to get traction compared to boards that already have high follower counts. Some people will follow and then soon unfollow, it’s not a problem. I think they are most of the key points to be learnt but hopefully you’ve learnt other stuff too! If you are taking your business seriously the using management tools like this gets important the more you grow. The Boardbooster pricing is fair meaning it’s not a very big investment, they also have an affiliate program to reduce your costs. It may be a bit tricky to get used to how the tool works at first, but there’s nothing wrong with a challenge in life. I hope this has helped! If you want to see growth in your follower numbers by scheduling pins then I would recommend you do something similar to what I’ve done and see how your results come out. This page may contain affiliate links. Please read the disclosure for full information. MoneyCortex© - Personal finance blog and news website.